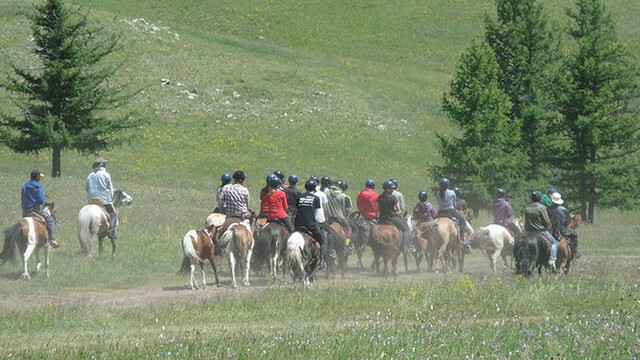 *The duration/dates of the trip can be changed to suit your needs. 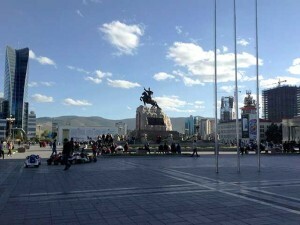 Arrive in Ulaanbaatar. You will meet your guide and transfer to hotel. Half and full day city tours are available. Visit to Winter Palace of Bogd Khan, built between 1893 and 1903. 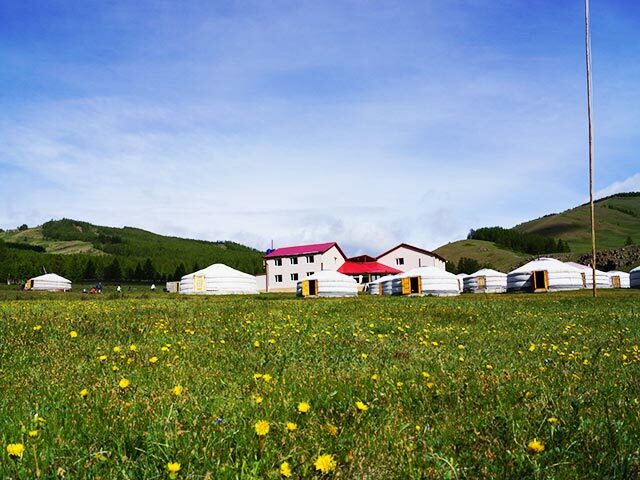 It was the home of the Mongolia’s last king Javzun Damba Khutagt VIII. 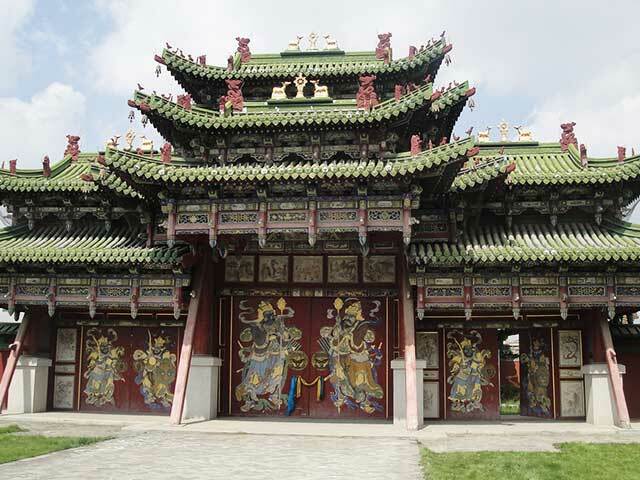 This complex of temples and houses contains a number of Buddhist artworks and the private collection of the Bogd Khan. Our next attraction is the Zaisan Memorial Hill to see a panoramic view of the capital city. Dinner and overnight at hotel. 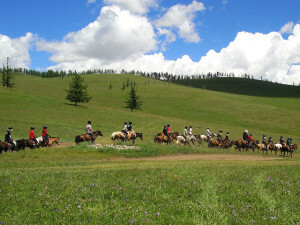 Terelj National Park. 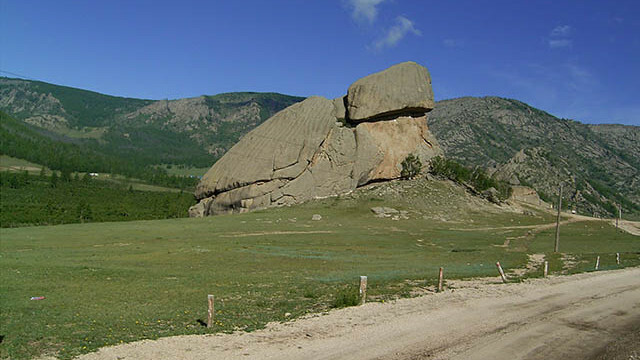 Today, we will start our trekking to Terelj National Park, stay on the way seeing Unique Natural Rock Formation “Turtle Rock and Ariyabala Meditation Monastery. Terelj National Park is located in 70 km from Ulaanbaatar city and an exhibition of steppe regions of the south western part of Khentii mountain range. 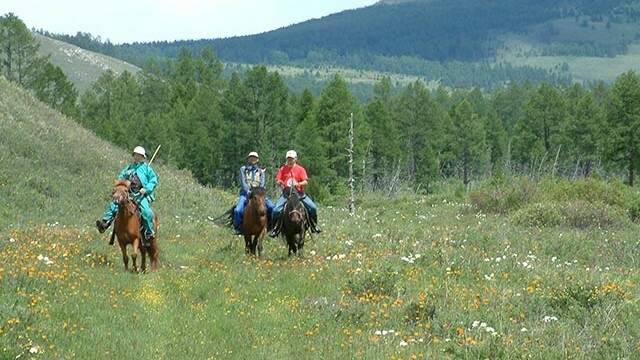 The area is a spectacular valley with high-eroded rock formations, pine covered mountains and grasslands carpeted with perennial wild-flowers and edelweiss. Lunch at tourist camp. 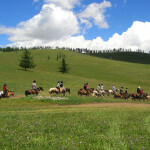 Meet tour team then prepare for trip and practice on horseback. Overnight in the ger camp. Gyalalzakh. 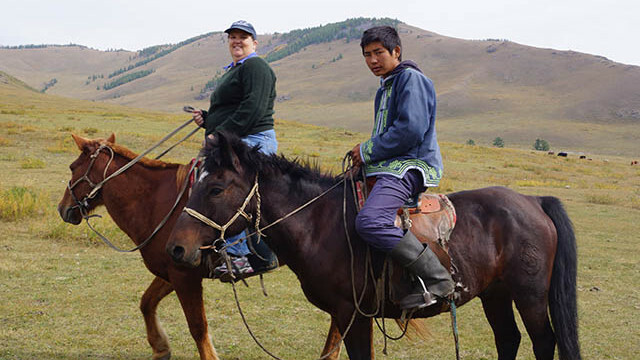 After breakfast, we will ride a horse to the Gyalalzakh area. The area is an untouched wilderness with very low density of population. Approximate trekking distance will be 28 km. Overnight in the ger camp. Gunjiin Sum Temple. 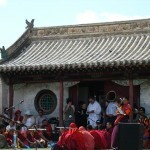 Continuing the trip to Gunjiin Sum Buddist Temple. Approximate trekking distance will be 7 km. Here lies the grave of Queen of the Mongolian “Ephu” king Dondovdorj, who was married to the sixth daughter of Manch king. Dondovdorj built the temple in 1740 after the death of his queen. 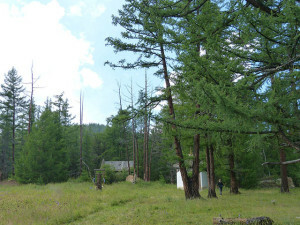 After spending time at the ruins of the monastery, we will return to base camp for dinner. Overnight in the ger camp. Terelj NP. 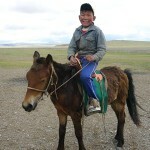 We will continue our trekking through the high mountain range. 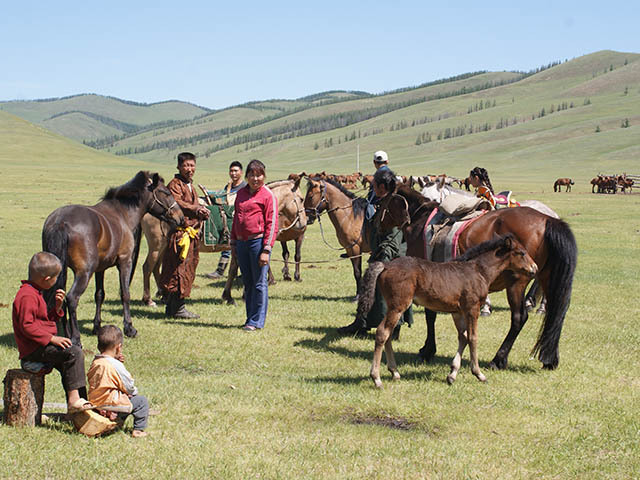 On the way, visit to a horse breeder family, taste “airag” (mare’s milk), explore the nomad’s lifestyle. Tour team will be invited for Farewell dinner with traditional food “Khorkhog”, prepared with mutton using hot rocks. Overnight in the ger camp. 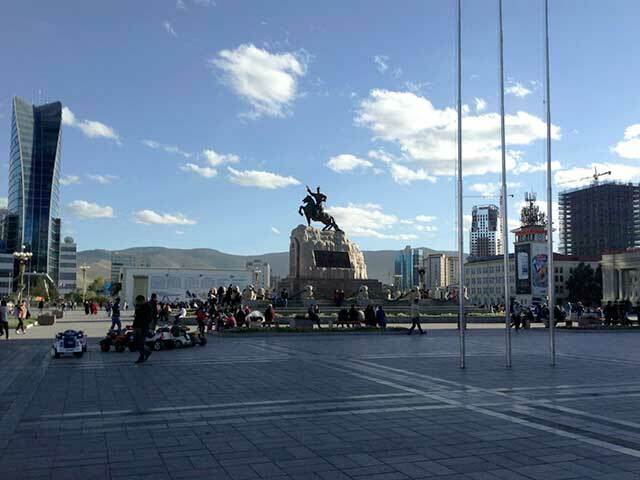 unch and afternoon short city tour: visit Main Square Sukhbaatar – Chinggis Khan’s monument and Natural History Museum which is well-known for its precious findings such as dinosaur eggs and bones. Shopping at cashmere and souvenir shops. Evening traditional song and dance performance. Overnight at hotel. Departure. Transfer to Chingghis Khaan international airport for return flight home. ※ I respond accordingly to the number of days you would like, visited, schedule content, for and cost. Please feel free to contact us. ※ by weather conditions and traffic conditions, you may be forced to change the schedule. We appreciate your participation at the top that had you understand it beforehand that that travel in special areas to everyone for your participation.